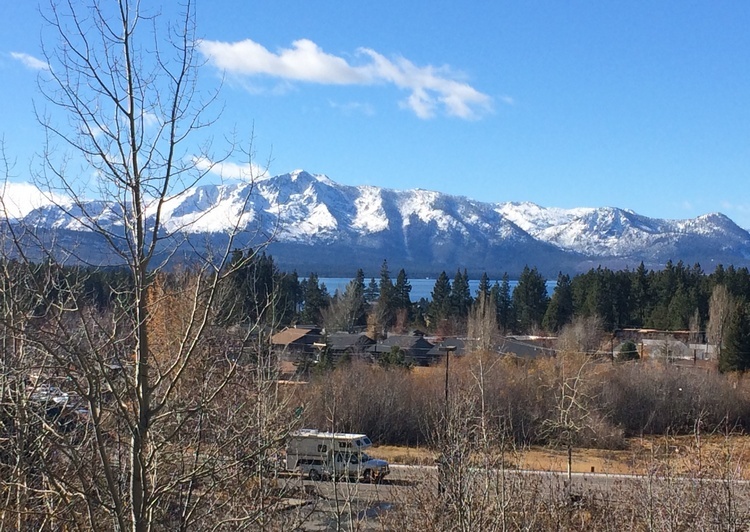 It’s a nice optimistic feeling to see people get excited for all the snow at Lake Tahoe when there is no snow yet. People arrive with high hopes and their the skis strapped to the roof of the car, but unfortunately are greeted to a town still waiting. It doesn’t seem to dampen spirits, maybe because it’s the holiday season, a time to head into the mountains and be merry and bright. A little of the white stuff would help spread the joy of the season, but sometimes Old Man Winter can be a bit slow. A few warmer storms came through the area in November and capped all the higher peaks, which started to make the lake look a lot like Christmas. It will start to happen more and more in December: the snow will come, and with it a bounty of snowy activities. 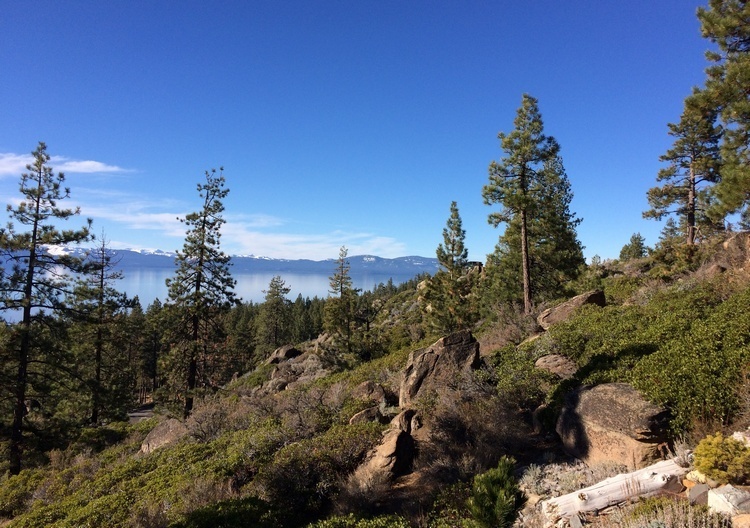 Some of the ski resorts up here have it easy attracting customers to their mountain; places like Heavenly or Squaw Valley are equipped with the best snowmaking in the country. At the top of the Gondola at Heavenly Village the elevation reaches almost 10,000 feet, so temps stay cold to make snow and provide a few runs for the skiers and snowboarders to get their fix. There are benefits to ski season at the local pubs and restaurants, most offer apres ski drink specials, like Mott Canyon Tavern and Grill on 259 Kingsbury Grade, (Hwy, 207), named after a double black diamond ski run at the top of Heavenly Nevada. Mott has a large food menu and plenty of beers on tap, and even if you don’t ski, come on in and grab a cold beer and a burger. Their Christmas party is December 14, and it’s always a top notch shindig. Other snow-reliant businesses that have to wait for the snow to fall from the sky start to feel antsy. Places like Zephyr Cove Snowmobile and Borges Sleigh and Carriage Rides probably get fidgety waiting for their opening day. Hopefully, people did more praying and not too much partying at all the pray-for-snow parties that happened in November. Zephyr Cove Snowmobiling is the best place to zoom around on a snow machine in the area, going way up into the high country above 9,000 feet in the Carson Range for wonderful views of the lake. But if going slow and steady is more the pace for you, then take a sleigh ride with the Borge’s in the meadow in between MontBleu Resort Casino and Spa and one of the original Pony Express stops at Stateline, Nevada. 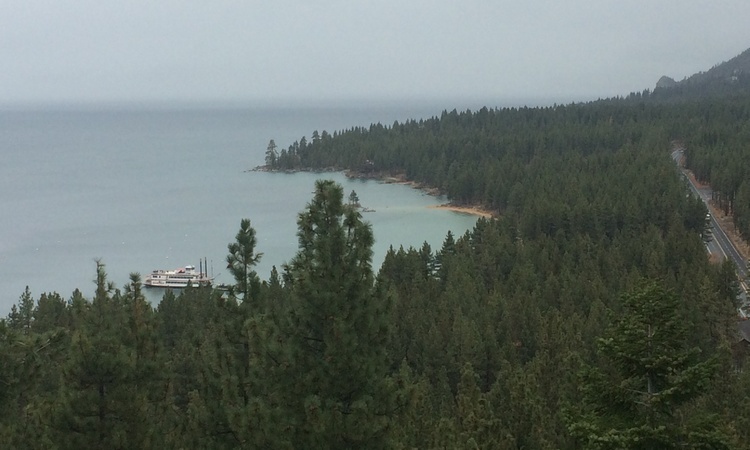 Daytime activities are the big reason people come to the lake, but also the town is open 24 hours on the Nevada side. A great place to ring in the new year and say goodbye to 2017. All the casinos are partying all night long and the atmosphere is that of hope and happiness, or everyone is buzzed and cheery. Nevertheless, it’s a good time, so Happy New Year! Happy travels, and don’t worry: we’ll get that snow.